With news that ROSS, the world’s first AI lawyer, built upon IBM’s Watson was ‘hired’ by law firm Baker & Hostetler, there was much weeping and gnashing of teeth by organic, flesh-and-bone lawyers. They were then summarily rounded up by their new machine overlords and sealed in pods where their bioelectric energy was harnessed and used to power the very computers that now subjugated them. Okay, maybe not. 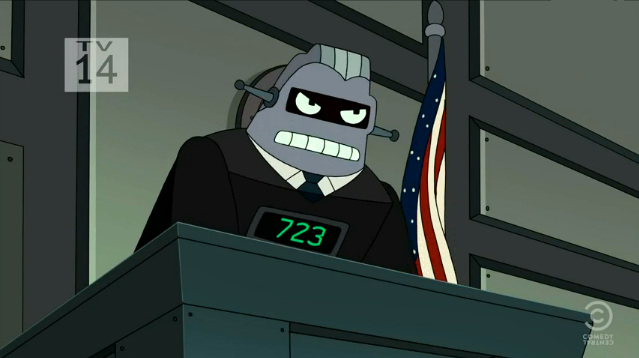 But for all the alarm-raising over the rise of AI and what it means for tomorrow’s legal professionals, does machine intelligence pose a legitimate threat to the practice of law by human beings? Will clients in the near future be represented in court by Lawbot 3000? How you feel about the likelihood of lawyers being replaced by machines depends largely on your view of the work lawyers perform. And while a great deal of the menial work that comes along with lawyering (research and analysis, more research and analysis) is subject to the relentless onslaught of automation, the core tenets of lawyering such as advocacy and critical thought are more nuanced and therefore more difficult to computerize. The 2013 study ‘The Future of Employment’ evaluated how technology would impact the job market in 20 years and how likely specific roles were to be automated based on nine traits identified as ‘bottlenecks to computerization’: finger dexterity, manual dexterity (robots, though many things, are not famed for their nimbleness), cramped work space, originality/cleverness, fine art knowledge, social perceptiveness, negotiation skills, persuasion skills, and assisting and caring for others. The four traits that were weighted as most important when mitigating computerization were cleverness, negotiation, assisting others (all hallmarks of successful lawyers) and whether or not the job involved cramped workspaces (which may give you the justification you require to take a new lease on that bigger office). When all factors were considered, lawyers only had a 3.5% chance of being replaced by automation within the next 30 years—comparatively, paralegals and legal assistants have a 94.5% chance of being automated in the same timeframe. For the work of lawyers to be fully automated, engineering bottlenecks to creative and social intelligence will need to be overcome, implying that the computerisation of legal research will complement the work of lawyers in the medium term. That’s not to say that the outlook for lawyers is ENTIRELY rosy—services bolstered by technology or automation are encroaching on tasks that traditionally fell in the legal wheelhouse; the latest example being a chatbot developed by a 19-year-old that automates parking ticket appeals—to the tune of $3m. While skilled attorneys may not have been retained to appeal parking tickets in the past, it’s a prime example of how the automation of repetitive or rote processes can impact the legal industry and should certainly give lawyers pause when considering how to specialize or diversify their practice niches. Ultimately, like all industries, computers have the opportunity to have a transformative affect on the practice of law—from data analysis, to document creation, to tools and solutions that simplify the day-to-day management of a law firm and free lawyers up to focus on the critical thought, analysis, and advocacy that make them irreplaceable. At least, for now…but who knows what the future holds. This post was published on June 15, 2016 . Last updated: June 15, 2016 .